While you may still be savoring the last few pieces of chocolate you received on Valentine’s Day, the largest human migration on Earth has been quietly taking place in China. That’s right—it’s the annual Chunyun, or spring migration, when thousands of people return back home to visit their family, and of course to prepare and enjoy the most important meals of the year. Depending on where you live, the dishes vary. If you are from northern China, your Chinese New Year banquet will look vastly different to someone’s from Shanghai. Some of your must-have New Year dishes might be completely unheard of outside your region. Or you may have the same dish but on a different day, as the whole celebration lasts for 16 days—starting from Chinese New Year’s Eve, which falls on February 15th this year, and ending on the Lantern Festival on March 2nd. We’ve compiled a not-overwhelmingly-comprehensive guide to what’s eaten where during Chinese New Year. Eating during Chinese New Year is regional, symbolic, and much more than just dumplings. In short, it is anything but pure and simple. The good news is: We have the recipes and you can try them all at home! A New Year staple in the northern region. The Chinese character for beef carries the meaning of being great and awe-inspiring. So the conventional wisdom goes: Eating pickled beef guarantees success in the coming year! You’re probably going to find lamb stir fry at every New Year banquet in north-western China, as this region is famous for its rich meadow pastures. Besides, according to Chinese traditional medicine, eating mutton can fend off cold and warm you up. A perfect dish to keep you healthy in the new year! 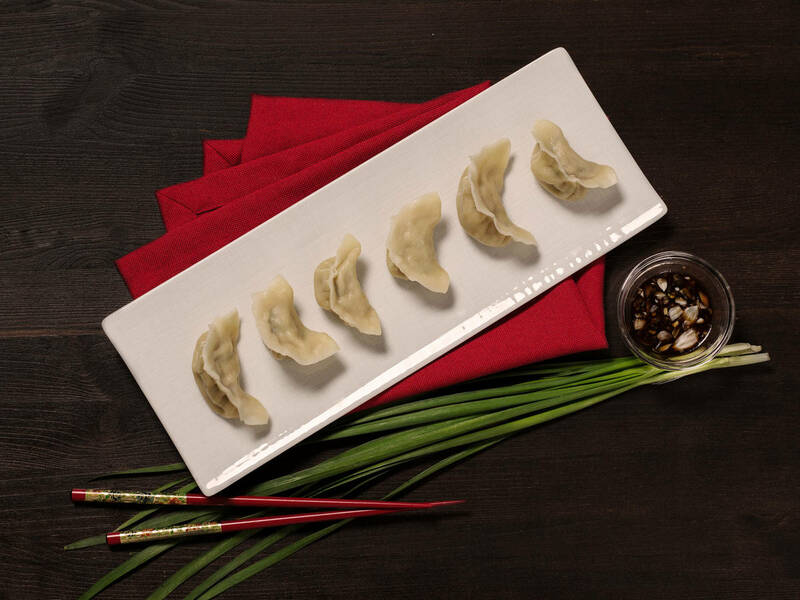 It seems to be a truth universally acknowledged that dumplings are the embodiment of Chinese New Year foods. Though a southerner would probably disagree, according to Northerners, dumplings are a must-have during the New Year celebration. The shape of dumplings resembles that of gold bricks, and making them, or ‘folding’ them in Chinese, symbolizes that you wrap your fortune in for the coming year. But did you know that not all Northerners eat dumplings on the same day? Depending on the province, some eat dumplings at the family reunion dinner on Chinese New Year’s Eve, while others eat them on New Year’s Day. Due to its geographical location, seafood is readily available and much-loved in Guangdong. Shrimp, which you probably won’t see at a northern banquet, is the natural highlight of the family reunion dinner in southern China. In Cantonese, the word ‘shrimp’ is a homophone for the sound of laughter. Having this dish will therefore fill your coming year with joy and laughter. To understand why this is a staple for Chinese New Year, you need to use a bit of your imagination. The whole dish resembles a money tree, with the round-shaped shiitake symbolizing coins and the bok choy acting as branches. Eat this, and you’ll not only have a more balanced meal, but also a more prosperous start into the new year. If there’s one dish to unite them all, it has to be fish. Fish, or Yu in Chinese, is a pun on the Chinese word for abundance. Across China, people might be eating different types of fish, but fish it must be, for who doesn’t want to end the year with surplus and get a head start in the new year? A well-rounded Chinese New Year meal will not do without some sweet desserts, and rice cake is one of them. The Northerners fry or steam the rice cake, while people from south-eastern China also stew or sauté it. The Chinese word for ‘cake’ is a homophone for ‘high’ or ‘great.’ So let the rice cake stick to your teeth and the coming year be even better than the previous one! Another traditional dessert that enjoys nation-wide popularity is sweet rice balls. The Easterners and South-westerners usually have rice balls for breakfast on New Year’s Day, while the Northerners tend to save rice balls for the Lantern Festival on the last day of the Chinese New Year celebration. The rice balls nicely summarize the essence of Chinese New Year in their round shape: ‘Family reunion’ is exactly what is on everyone’s mind when they brave the crowd, board the train, and travel thousands of miles home. We’ve curated 8 dishes for you and 8 coincidentally also represents Gong Hey Fat Choy (a well wish for prosperity)! What’s your favorite Chinese New Year recipe? How do you celebrate Chinese New Year? Tell us in the comments below!